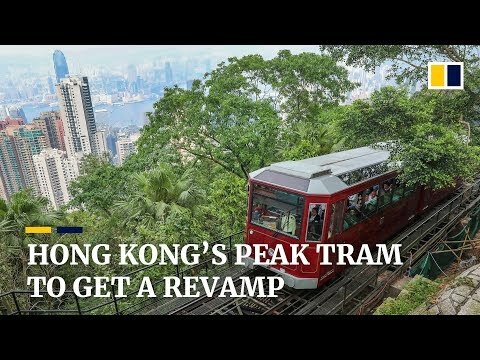 The world’s steepest funicular railway, Hong Kong’s Peak Tram sweeps passengers from the busy city streets in the Central district to the highest points on Victoria Peak in only six minutes. In service for more than 130 years, the Peak Tram is about to get a multi-million dollar upgrade, including replacement of carriages. Current carriages can handle up to 120 passengers at a time, but new larger ones will have a capacity of 210. The change will require replacement of all haulage and control systems, installation of new rails, as well as reinforcement of track foundations and bridges along the tram route. The renovation will cost HK$684 million (US$87.1 million) and is expected to be completed in early 2021. The work will force Peak Tram service to be suspended during two periods, with the first one starting on April 23, 2019, and lasting approximately two to three months.